Brunitore a freddo per alluminio. 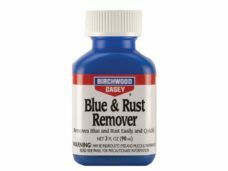 rimuovere la finitura originale e passare il prodotto. 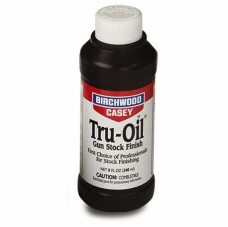 Easy to use, all-inclusive kits are the proven way to touch up or completely reblue most guns. 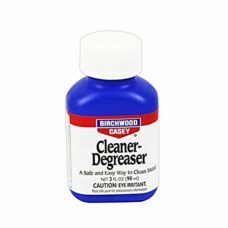 Everything you need for a professional-looking, first-class job is included. 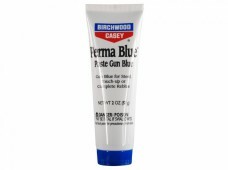 Choose from the fast-acting Liquid Gun Blue Kit and the deep, dense Paste Gun Blue Kit. 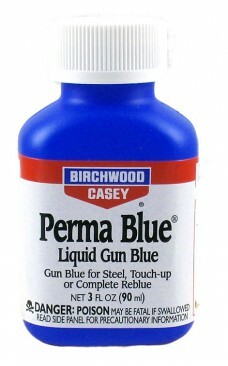 NOTE: PERMA BLUE Liquid Gun Blue will not blue stainless steel, aluminium or non-ferrous metals. 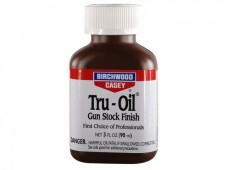 The proven way for touching up or completely reblueing most guns. 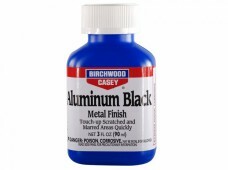 The fast-acting liquid gives a non-streaky, uniform blue-black finish. 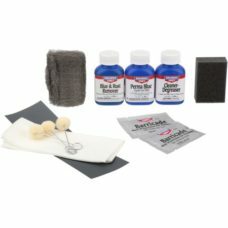 Generous supply of everything you need to do a first-class job. 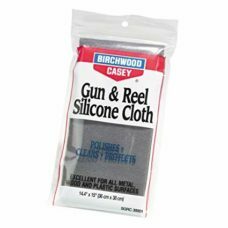 Includes: 2 oz Perma Blue Paste Gun Blue, 3 oz Cleaner-Degreaser, 3 oz Blue & Rust Remover, Blueing Applicators, Sponge, Service Cloth, Barricade® Rust Protection Gun Wipes, Fine Steel Wool, & Complete Instruction Guide.